This activity is jointly sponsored by the University of Kentucky, Kentucky Injury Prevention Resource Center, Appalachian Regional Commission, Operation UNITE, and Kentucky Office of Drug Control Policy. Substance use disorders are common medical disorders of which all health care providers should be aware, have basic knowledge about, and practice competence in order to screen, refer, and/or treat. Prescribers as well as non-prescribing health care providers need training in substance use disorders, urine drug screening and testing, and therapeutic use of KASPER. The latter two are practice behaviors that are required by law for prescribers of several controlled substances in Kentucky. This training has been approved by the KBML as meeting the statutory requirements of HB1. There is inadequate utilization of the most appropriate treatment for prescription drug abuse. There is a lack of understanding of costs of untreated and treated prescription drug addiction and of the levels of care for treatment. 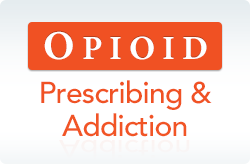 Methadone and Buprenorphine: Evidence-base in Addiction Treatment and Common Pitfalls and Myths Substance use disorders are common medical disorders that all health care providers should be aware of and have basic knowledge and practice competence. Methodone and buprenorphine are important treatment options that can help bring treatment back into main stream medical practice. © 2019 University of Kentucky All rights reserved.